Maurice Edu hasn’t played in a game for the Philadelphia Union since Sept. 23, 2015. Maurice Edu's long-running injury saga could finally be coming to an end. The 31-year-old midfielder is headed to Bethlehem this weekend, to join up with the Union's minor-league USL team. He could play for the Steel in Sunday's game against Louisville City at Lehigh University's Goodman Stadium (5 p.m., live video streaming here. ), though it's not guaranteed. 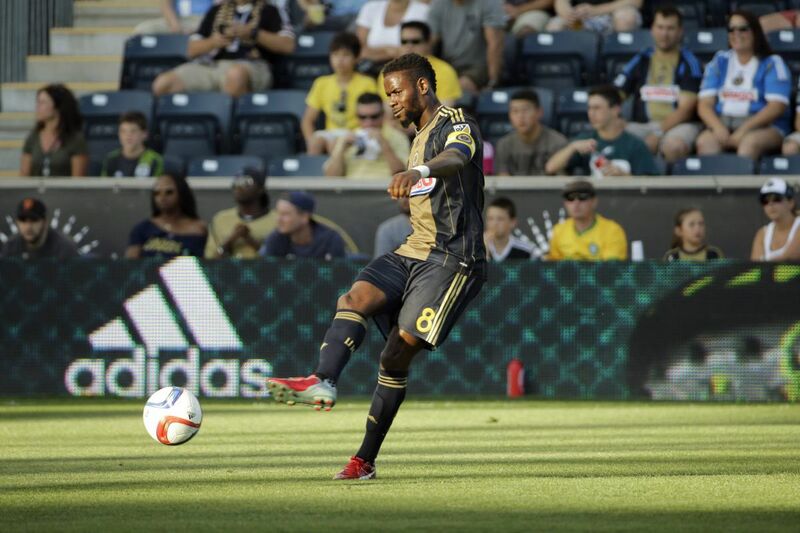 The Union only announced that Edu has been placed on the Steel's 27-player game-day roster for the contest. That doesn't mean Edu will start, or play, or even be part of the 18-player match squad. But it's still a sign of something. Edu has not played for the Union since Sept. 30, 2015 due to a series of injuries. He dealt with a partially torn groin muscle during the latter stages of the 2015 season. His only appearances between Aug. 8 of that year and the end of the campaign were a league game on Sept. 20 and the U.S. Open Cup final on Sept. 30. Prior to the start of the 2016 season, Edu suffered a stress fracture in his left leg. He needed almost the entire season to rehab it, only returning to the field for three appearances with the Steel. Just when it seemed that he was ready to return to the Union, he broke his left fibula during a mid-October practice. That put him out for the rest of the year, and he has not played in a game since. All the while, Edu has been one of the Union's highest-paid players. His guaranteed compensation this year is $818,750, according to data provided by the MLS Players Union. He has taken up a designated-player slot ever since joining the team in the winter of 2014. In his four seasons on the Union's roster, he has played in 53 league games, recording four goals and three assists. He also has a handful of appearances in the U.S. Open Cup, and scored a goal in the 2014 tournament final.